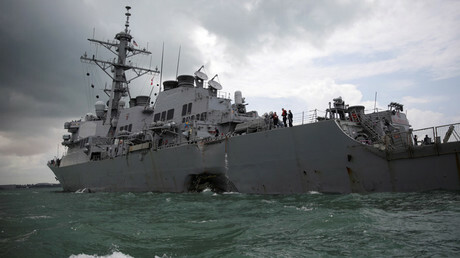 The Justice Department’s probe into a corruption scandal revolving around an Asian defense contractor has expanded to include 60 admirals and hundreds of officers with the US Seventh Fleet, which is going through turmoil after deadly ship collisions. The Navy confirmed it has been reviewing the conduct of 440 active duty and retired personnel for possible violations of military law or federal ethics rules in their dealing with Leonard Glenn Francis, a Singapore-based maritime tycoon known colloquially as “Fat Leonard.” Among those investigated are 60 current and former admirals, according to the Washington Post. That is double the number of admirals the Navy said were under investigation last year. There are about 210 admirals presently on active duty. More than half of those under review, 230 people, are not considered guilty of misconduct, and some were found to have had little or no contact with Francis, the Navy said. The Navy said the names of those under review have been kept secret to avoid compromising the ongoing case. “The release of such information...would likely reveal sensitive details about the breadth and scope of the criminal investigation and pending cases,” Commander Mike Kafka, a Navy spokesman, said in statement. So far the Navy has charged five people with crimes under military law, none of them admirals. Most of the flag officers are suspected of attending feasts at Asia’s best restaurants at the expense of Francis, who made a fortune supplying US Navy vessels in Pacific ports from Brisbane, Australia to Vladivostok, Russia. Francis was notorious for hosting boozy after-dinner parties, often with prostitutes, that sometimes lasted for days, according to federal court records. Federal prosecutors say that in exchange, the officers provided Francis with classified or inside information that allowed his firm, Glenn Defense Marine Asia (GDMA), to extort nearly $35 million from the Navy. The leaked data includes ship movements and confidential contract information. In some cases, commanders steered ships to ports where GDMA could charge fake tariffs and fees, according to prosecutors cited by AP. 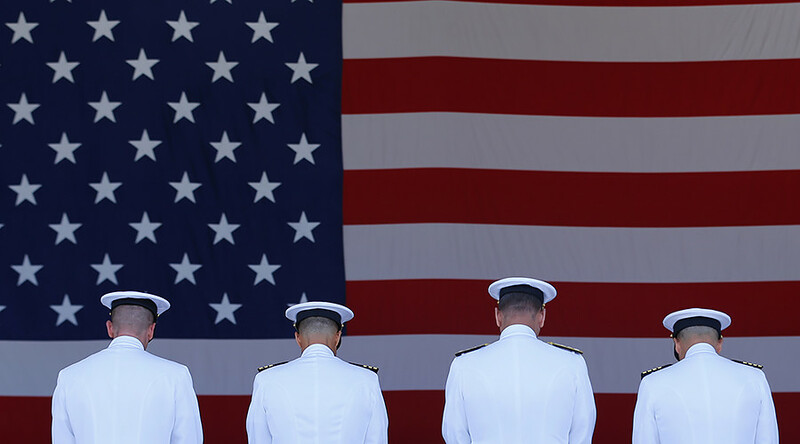 The cases have been described as the worst corruption in Navy history since WWII. The incidents go back as far as 1992 and most recently as 2004. Francis’s overbilling of the Navy has been an open secret for years. In response to a flood of fraud complaints, the Naval Criminal Investigative Service (NCIS) opened more than two-dozen separate investigations into Glenn Defense in 2006, according to court records. The Justice Department has filed criminal charges against 28 people, including two admirals, since Francis was arrested in an international sting operation in September 2013. In March, eight Navy officers were charged and accused of accepting “luxury travel, elaborate dinners and services of prostitutes” from Francis. Among those charged is Rear Admiral Bruce Loveless, recently retired from the Pentagon, as well as four retired Navy captains, and a retired Marine colonel. They were arrested by the Justice Department across five states and faced charges including bribery, conspiracy to commit bribery, honest services fraud, and obstruction of justice and making false statements to federal investigators. Francis, 53, pleaded guilty in 2015 to bribing dozens of Navy officials and defrauding the government of more than $35 million. He is in custody at a San Diego prison and is awaiting sentencing. The latest revelations in the “Fat Leonard” scandal come as the Seventh Fleet is coping with the fallout from two deadly collisions at sea. Two guided missile destroyers, the USS John S. McCain and the USS Fitzgerald, collided with commercial vessels in the Pacific this summer. These two separate incidents killed 17 sailors. The fleet’s commanding officer, Vice Admiral Joseph Aucoin, was dismissed a month before he was due to retire. Admiral Scott Swift, commander of the US Pacific Fleet, stepped down in September after being informed he will not be promoted to head the US Pacific Command. He announced his retirement in a surprise Facebook post. The Seventh Fleet operates about 70 ships, and has approximately 20,000 sailors and 140 aircraft.